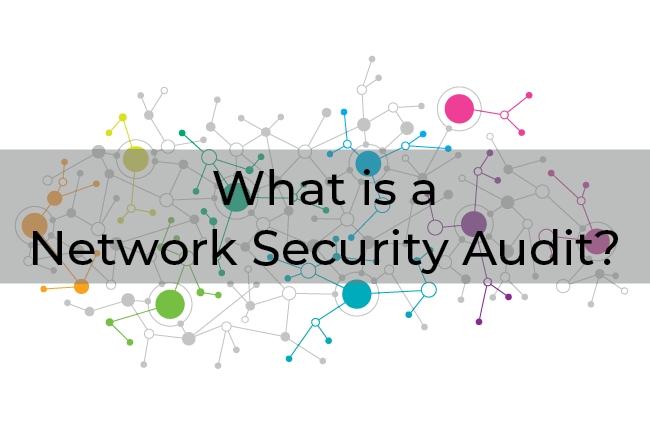 You've likely heard the term network security audit before (or information security audit), but you may not have been sure what it meant. As more and more platforms are hosted in the cloud, businesses become increasingly more reliant on the internet to help implement their day-to-day operations. This increasing (and in most cases, unavoidable) reliance on the internet exposes companies to the constant risks of the Wild Wild West... I mean, internet. Joking aside, if you haven't been living under a rock, then you're probably very aware of the near-constant reports of major companies and government entities being attacked by cyber criminals. As a result, it has become a best practice for companies to have a third-party (other than their normal infrastructure manager) conduct an annual network security audit. But what is a network security audit, anyway? Network or information security audits are complete systematic evaluations of an organization's information (IT) system/infrastructure. During the evaluation, the goal is to expose points of vulnerabilities in the organization's network so that those vulnerabilities can later be addressed by the organizations personnel or service provider. Now, if that's all you needed to know, then you can stop reading. If you want to know why it's recommended to have an annual review, why it needs to be by a third-party organization, and what steps the government is taking (and how it impacts your company)... keep reading. Why? After all, if it's good once, it should be fine as long as you keep it maintained, right? Wrong. Let me explain by telling a short story. When I was younger, my dad and I were shopping at a popular technology retailer, looking for a computer. We purchased one of the newest models on the shelf, but my dad said something that I will never forget moments after making the purchase. As we walked out of the store, he gestured toward the box of my new laptop. With a slight hint of cynicism, he said, "You know, the second we walk out of this store, that laptop is going to be obsolete." Imagine my disappointment to discover that my new computer was already old! But think about the lesson he taught me that day. He made me aware of the speed at which technology develops in our hyper-connected world. It's disappointing to know that when you purchase a piece of technology, the next model of that device has likely already been developed, manufactured, and tested for next year's release. Your network, and all of the technology that comprises it, is no different. As a result, an annual security audit is important to make sure that you're keeping up with the rapidly developing world of the internet (and cyber threats). But why do you need to use a third-party to complete this? Whether you have an internal IT specialist (part-time or full-time) or an outside company managing your cyber security and help desk support, a separate third-party is necessary to complete your audit. After all, if your resident IT specialist or managed IT services company did it, they likely wouldn't find anything wrong (otherwise, they would have already fixed it). You don't have to hire a third-party company to do your audit. It can be an internal IT person, but a best practice is to make sure it isn't the same person or organization who handles your IT security (for the reasons stated above). If you only have one (or fewer) internal IT specialist, then you need to seek the assistance of an outside organization to handle the audit. Audits can be expensive, but some managed IT service providers will conduct a free-audit for the trade-off of presenting their findings directly to the Owner, Financial Director, or Director of Technology. Just to re-emphasize: you need someone other than your traditional network specialist (whoever that is) because that is the only way to efficiently discover vulnerabilities that may have been missed. 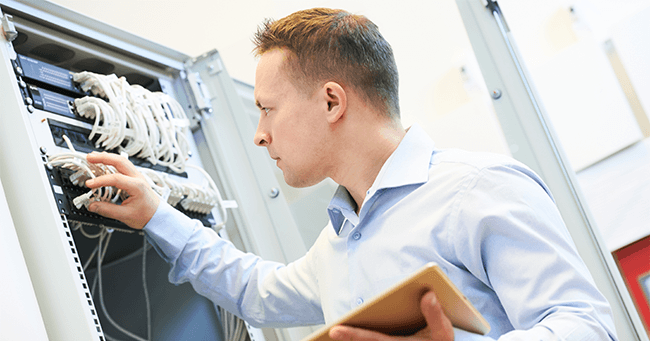 An internal IT specialist may be great for your day-to-day operations, but it's difficult for a single person to keep up with each advancement in network technology (and their threats). ... and then contact us today to receive your network security audit. With last year's breaches of Equifax and Target and this year's breach of Facebook, hundreds of millions of people's personally identifiable information (PII) were exposed to cyber criminals. Other than reputation damage (which shouldn't be underestimated), these companies received little repercussions from the US Government. Any monetary payouts that were made were initiated by the hacked companies in an effort to assist with public perception. Sadly, there are thousands of small businesses attacked every month, and the majority can't recover from security breaches. So, these companies can allow my data to be stolen without consequence? Not exactly. There is still the potential for lawsuits by individuals (and executives have lost their jobs over breaches), but currently, there are no laws that hold companies accountable for information exposed by criminal hacking. Congress has discussed the addition of penalties associated with a data breach which would make such instances an automatic fine. Businesses who do business or will do business with the federal government will have to meet additional security guidelines, as well. The reality is that data breaches have become far too common, and with the government becoming more and more aware of the threat they are to American citizens, expect regulations and penalties to intensify. Running an annual security audit may no longer be just a best practice. Eventually, it's likely to become law (much like it is if you're doing business in Hong Kong and other parts of the world). Get ahead of it and schedule a security audit for your network to find out what needs improvement. Daniel has a passion for educating and helping people and has spent over a decade in the education and office technology industries. He has a Bachelor's in Education from the University of West Georgia and an MBA from the University of Georgia. 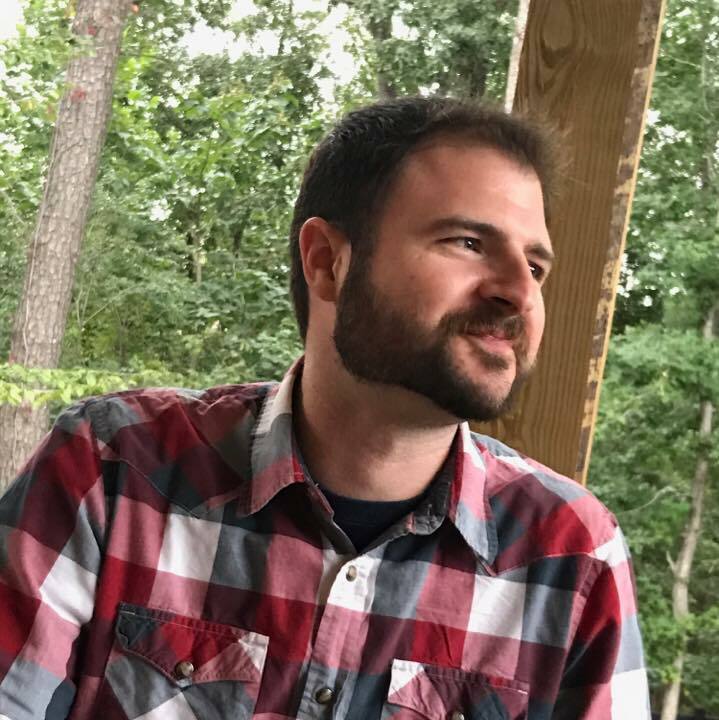 Daniel has been the lead blogger at SOS since 2017 and specializes in managed IT services, copiers and printers, and business phone systems. He lives in Atlanta and has a goofy greyhound named Ticker.